With just two days to go, we're all getting very excited here. Our party box has arrived and I'm excited to show you what's inside. There's lots of fab goodies for our party activities and even some goody bags for our little guests to take home with them afterwards. Our Blaze and the Monster Machines party is taking place this Friday the 6th March between the hours of 3:45pm and 5:45pm. I do hope some of you might join us. 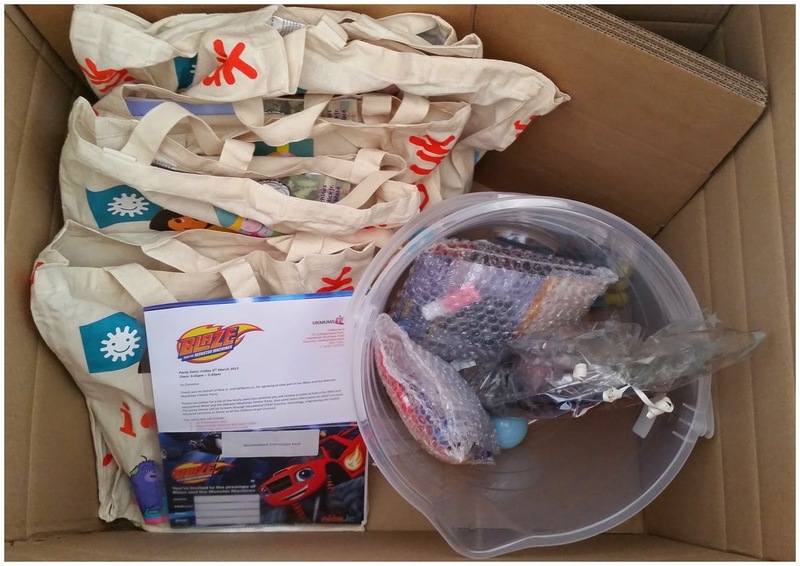 Just incase you're as excited as we are, here's what was inside our box. 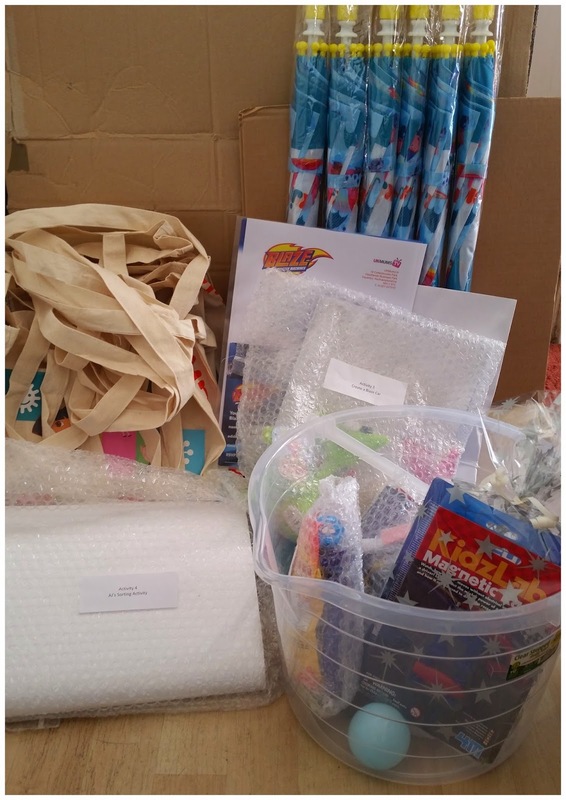 There's enough goodybags for 6 guests and each one contains a Nick Jr colouring book, Nick Jr themed umbrella, packet of sweets and a packet of themed plasticine. You might spy a rather large plastic bucket in there, that's for our 'Float or Sink' experiment game which we will be playing at some point. There's lots of other things in there for our party, there's one activity where we will be making our very own monster machines from chocolate bars which I'm sure will go down very well. Remember there's going to be a huge party on Twitter for everyone at home to join in with. There will be lots of prizes to be won throughout the two hours so I hope to see lots of you there. I'll be there tweeting away from our own party here at home letting you know how it's going. I know we're all very excited here and I do hope that you're all excited too.